Modern consumer culture has introduced a lot of stupidity. The following 15 examples are hard to top – and yet, these are just the most extreme examples of our thoughtless daily consumption of plastic. 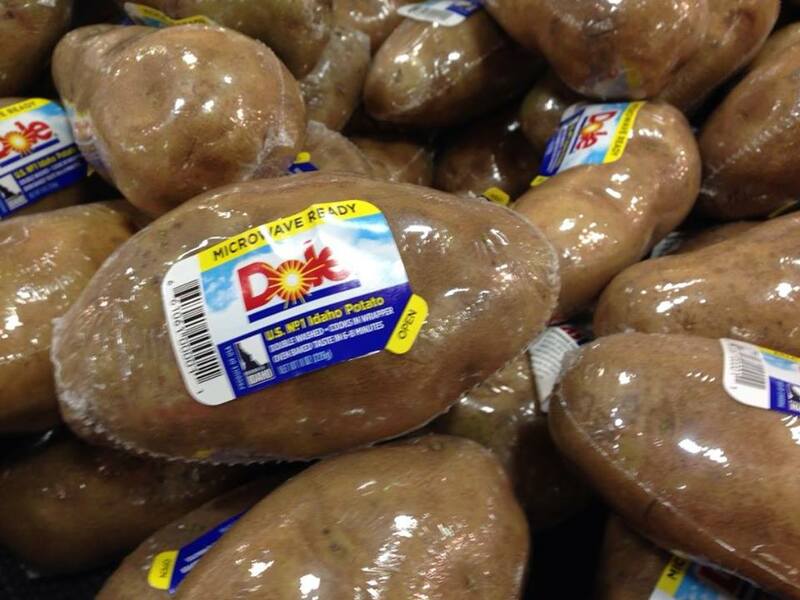 The product description on the Dole Foods website (Dole is the world’s largest fresh fruit and vegetable producer) was no less disturbing to read: Thanks to its plastic jacket, these “Easy Baker® potatoes” taste just like oven-baked potatoes after just minutes in the microwave. They are designed to help comfort-seeking consumers solve their personal fast food dilemma. “Surprised and disappointed” by the unnecessary packaging, Christine Kizik posted a photograph in March 2016 on the Facebook wall of her Sobey’s supermarket in Canada. The supermarket replied to her picture, delivering an absurd explanation for the equally absurd packaging. In other words, Sobey’s takes a simple fruit and turns it into an alienated supermarket product designed to appeal to the stupidity and laziness of its customers. This wasteful ignorance can hardly be topped! This photo was taken by a Utopia employee in an Italian supermarket in 2017. 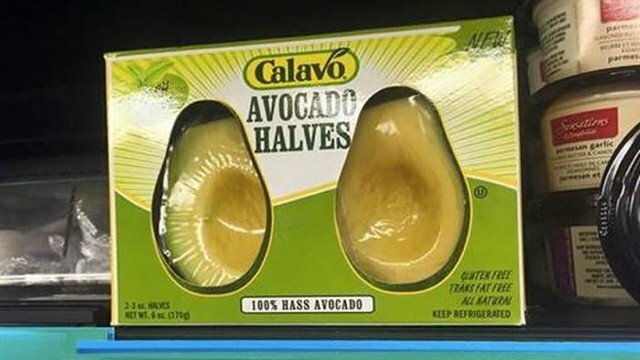 It is notable not only for the variety of fruits unnecessarily packaged in plastic, but also for the fact that they’ve all been put in refrigeration where none of them belong! Since 2010 oenophiles have been haunted by pictures such as these. For people who are unwilling or unable to open a bottle of wine, the British chain Marks & Spencer has the perfect solution: an individually portioned and imminently tasteful plastic glass of wine. 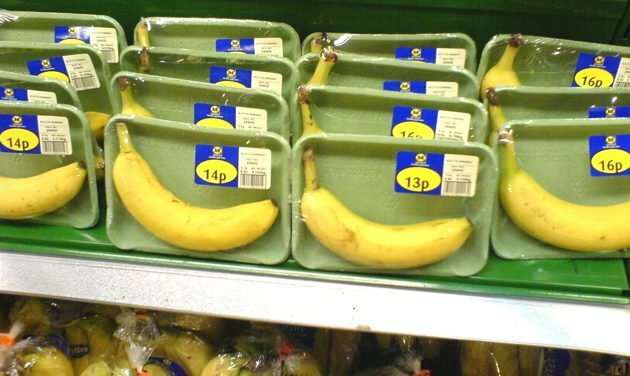 Sorry Nature, Humans Make the Best Packaging! This picture unleashed the social media “naked banana shitstorm” of 2012. 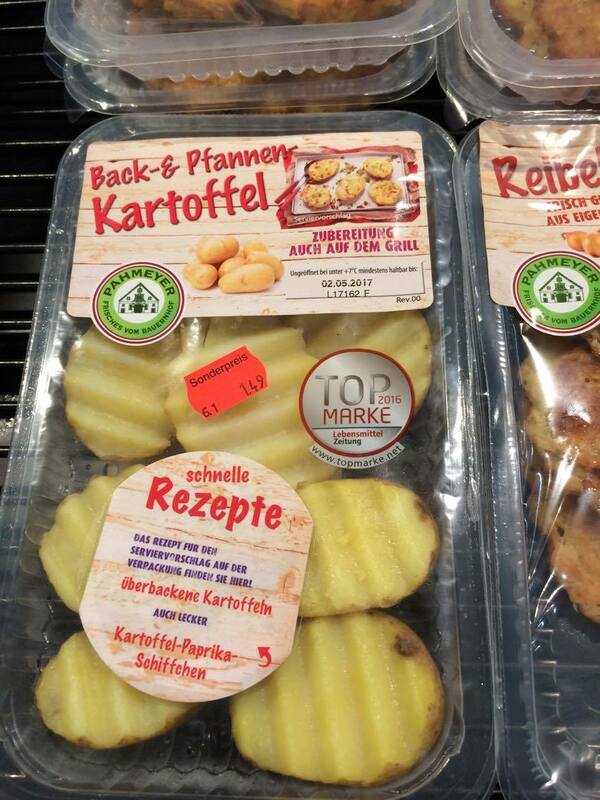 There were indeed good intentions behind the absurd repackaging of these bananas: an employee at the Austrian Billa supermarket chain wanted to save “unappetizing,” freckled bananas from being thrown away. He quickly peeled and repackaged them in plastic in the hopes that they would sell. Billa apologized on Facebook for its error: this example shows that companies must do a better job of directly educating their employees about sustainability so that we never see another such case again. Even pictures of individually wrapped bananas have been floating around the internet for years. This picture from 2007 was taken in the British supermarket chain Morrison’s. 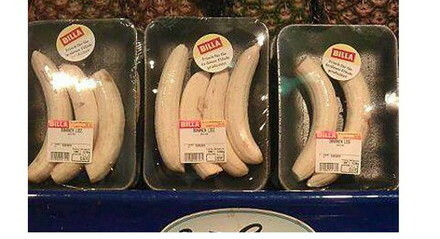 Unlike the previous image of the pre-peeled Billa bananas, it’s clear: this is not a well-intended if erroneous isolated case, but rather a deeply troubling systemic issue. Believe your eyes: this is a picture of a single, crinkle cut potato wrapped in plastic and endowed with the elevated title of “potato for baking or frying.” Slicing shortens the freshness of an otherwise long-lasting tuber immensely; further, the contents are barely enough to serve as the side for a single meal, making the price for a few potato slices a total rip-off. Our Facebook fan Sabrina took this picture in a German supermarket. “If only nature had come up with some way to keep oranges covered so that we wouldn’t have to waste so much plastic,” wrote Nathalie Gordon on Twitter in March 2016. She was criticizing a photograph showing individually packaged, peeled oranges in a California Whole Foods Market. But the supermarket chain also came to its senses: “This is definitely our fault. We peeled the oranges. We’re listening to our customers and returning to natural packaging: the orange peel,” they tweeted. Consumer pressure can show results. 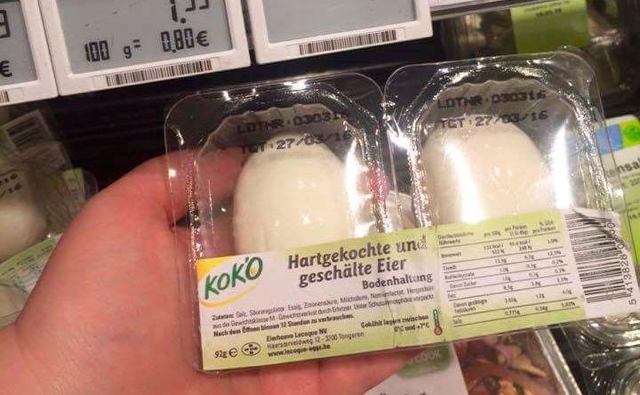 This picture of a plastic-wrapped coconut was posted on Facebook in May 2016 and taken at the VeggieWorld convention in Munich. 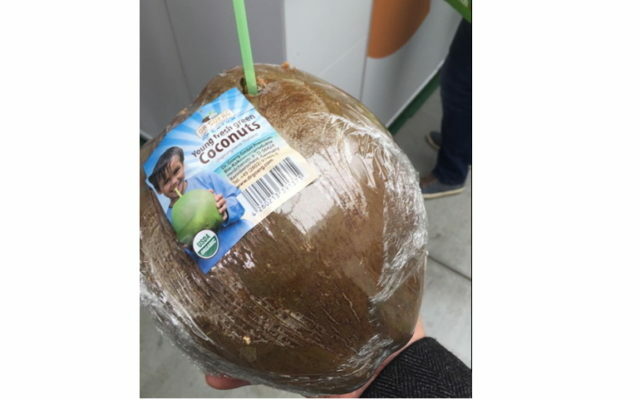 So that we can drink “young coconut water,” coconuts are not given the time to develop their robust brown shell and instead are packed in plastic. “Something feels wrong about this,” wrote the photographer. When we saw this picture for the first time in an article, we didn’t know anything about it except that it was taken in a supermarket in Hong Kong. After many readers contacted us about it, we’re now a bit smarter than before: in China, but also in Japan and in New York, it’s common to see refrigerated soda cans wrapped again in plastic. For hygienic reasons, of course – no one knows where that can has been before you put your lips on it, right? We don’t want to make anyone nervous here, but here’s another thought: How did the can get wrapped in plastic in the first place? 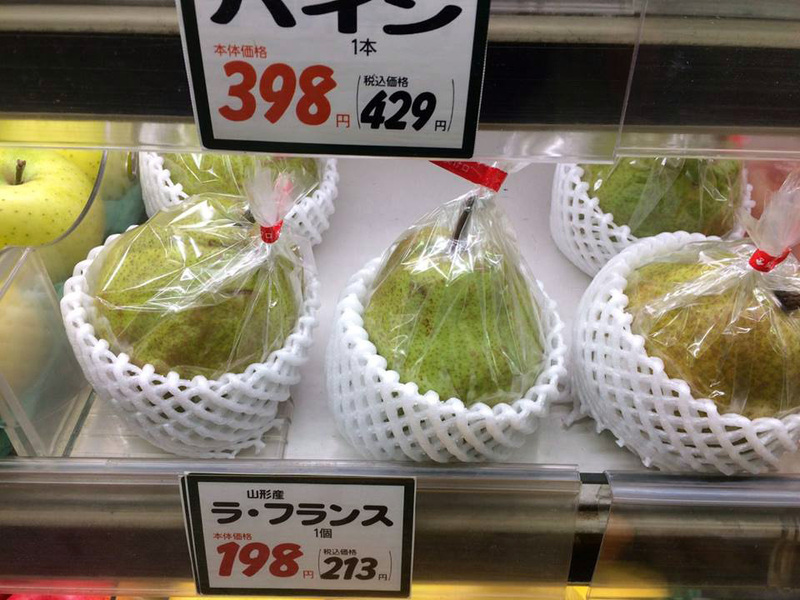 This is another post that we know little about besides its origin: “Are you serious, Japan? !” it’s called. Even without knowing more, we find individually wrapped carrots scarily unnecessary! Paul Watson is the founder of the environmental protection organization Sea Shepherd, which focuses on protecting our oceans and eliminating whaling. In early May 2016, he garnered attention for his Facebook post chiding individually wrapped oranges and lemons he’d seen in a supermarket. This photo was also taken in Japan by our Facebook reader Vera. Don’t Just Get Mad – Stop Buying Plastic! Plastic wrapped citrus, even though they have a naturally robust peel; hard-boiled eggs in plastic wrap because some people are apparently too lazy to boil and peel eggs themselves – what can you do but shake your head? Yet it would be too bad if we left it at that. These are of course the most extreme examples of our thoughtless daily consumption of plastic. How many plastic-wrapped products do we find “normal,” just because we’re used to seeing them that way? Do we really have to eat strawberries in May – strawberries wrapped in plastic, because they couldn’t survive the long journey in environmentally friendly paper pints? 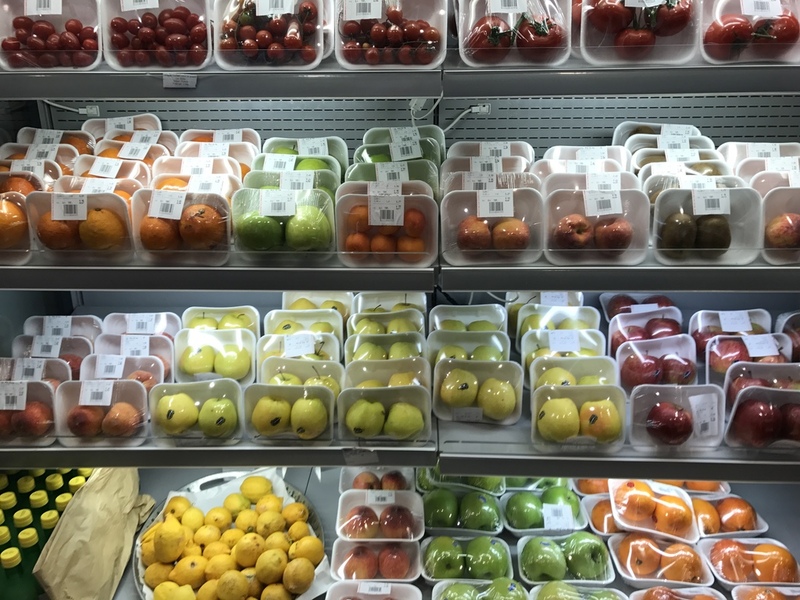 Are we forced to buy apples and tomatoes in plastic boxes simply because grocery stores offer us no unpacked alternatives? Do we have to buy salad in bags because we’re too lazy to cut it up and mix it ourselves?